Infused Design is a web design and development company based in Malvern, Worcestershire. We provide a fresh approach to creating websites and web applications, whilst remaining client-focused and professional. We have expertise in a wide range of areas, including simple brochure websites, larger Content Management System (CMS) based sites, web applications and Search Engine Optimisation (SEO). We provide services to a wide range of customers in industries such as property, events, technology and telephony, who are based across Worcestershire, Herefordshire and Wales. Some of our recent projects are below. 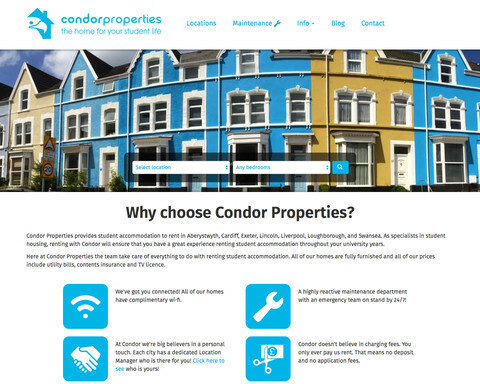 Condor Properties is the home for your student life , providing high quality, fully furnished student digs at affordable prices. In 2016 we redesigned the site from scratch, giving it a more modern look and feel. The site makes use of prominent property images for impact and clear icons for usability. A large part of the project was the development of a bespoke administration system to more easily manage properties and maintenance requests. The system integrates with an API for the student property search engine, StuRents. Professional Call Minders offer businesses a cohesive telephone answering service you can trust. 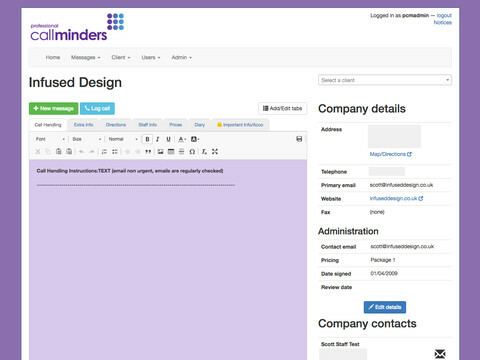 We created a bespoke web application to handle message-taking from incoming calls, customer support and emails. Clients can log in to their account to view messages and add notes and instructions for future calls. 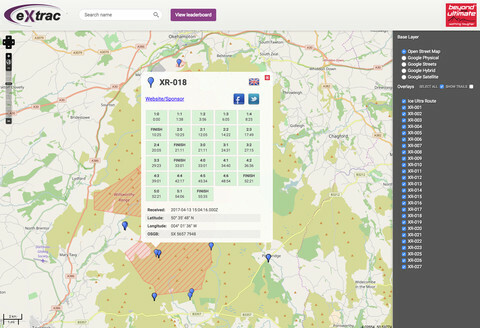 eXtrac provide a range of cost effective tracking and data management solutions that are flexible, robust, and easy to use. Beyond the Ultimate is a series of ultra marathons taking place around the world through rainforests, deserts or mountains. We were brought on to improve the design of their mapping facilities for tracking competitors. We added functionality including detailed competitor information, a leaderboard and social media integration features. This involved working with various APIs and positional data provided by eXtrac's tracking beacons. The Student Lock-In is an out of hours, student shopping event held at shopping venues across the UK. 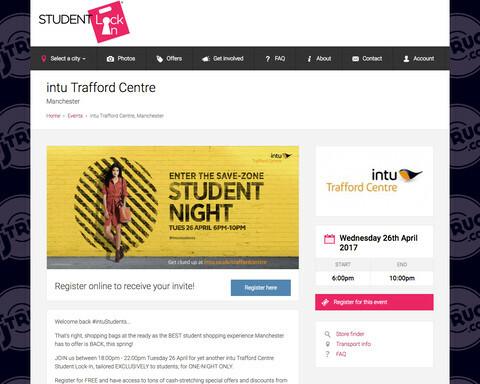 We built the Student Lock-In website from an outsourced design and created a custom CMS for managing their events. Subsequently we have developed new features including custom brands and offers for each event, an advert management system, and user registrations.